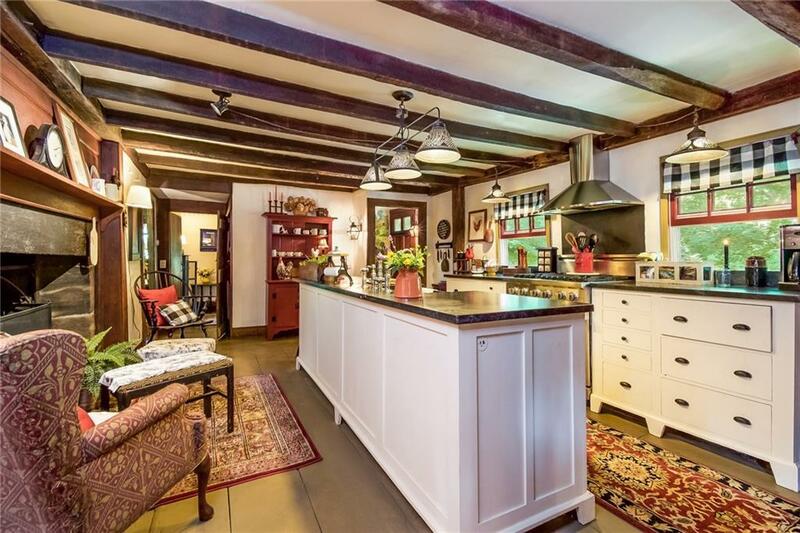 Kitt's Tavern (circa 1740) is an amazing example of pre-revolutionary architecture and a slice of Rhode Island history that has been lovingly preserved over the years to create a very comfortable and unique family compound. 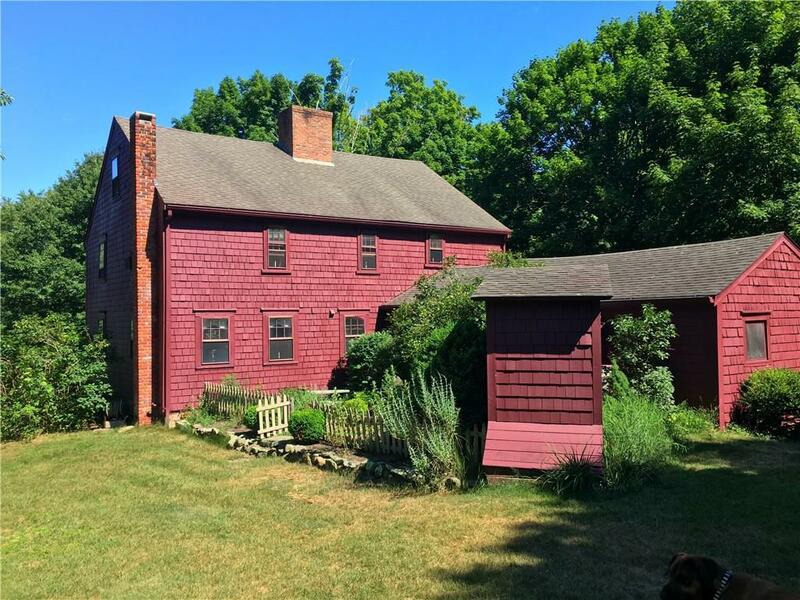 A careful, full restoration ensures there is nothing primitive about this historic antique colonial! The original tavern building features 3 generous bedrooms (2 with walk-in closets), 2 full baths, a custom kitchen with a commercial-style Viking range, unpolished granite counter tops, custom reproduction cabinetry, built-in appliances & walk-in pantry, plus a 2nd floor laundry rm. 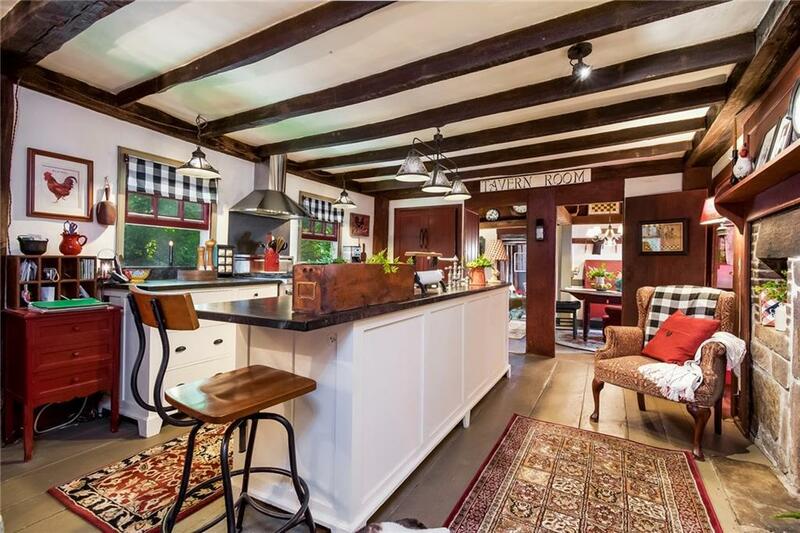 Original features of the home include rare stenciled paneling, beautiful wide plank pine floors, 7 fireplaces, hand hewn beams, wavy glass windows, and a 3-season stone porch . Plumbing, wiring and appliances are new or updated, and a full basement and walk-up attic provide plenty of storage. 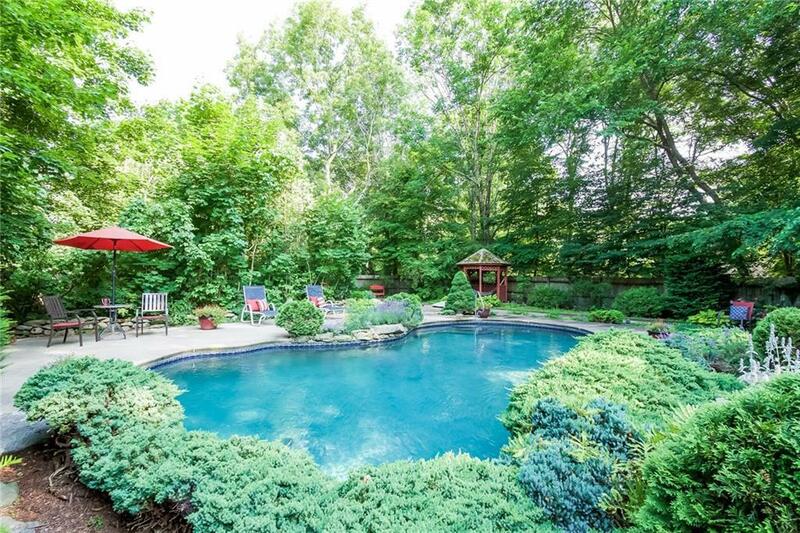 Outside hidden behind a high fence lies an amazing resort-style pool with lush landscaping & a waterfall, nestled alongside a large deck and pool house a magical and relaxing place to gather with friends & family on a warm summer day. A collection of wonderful and quirky outbuildings scattered over the 2.3 acre property gives you the sense of being in a little village... there are stables, a chicken coop, a workshop, a potting shed/studio and a children's playhouse. A lovely English garden, prolific blueberry patch, and pasture complete this one-of-a-kind, once-in-a-lifetime property!